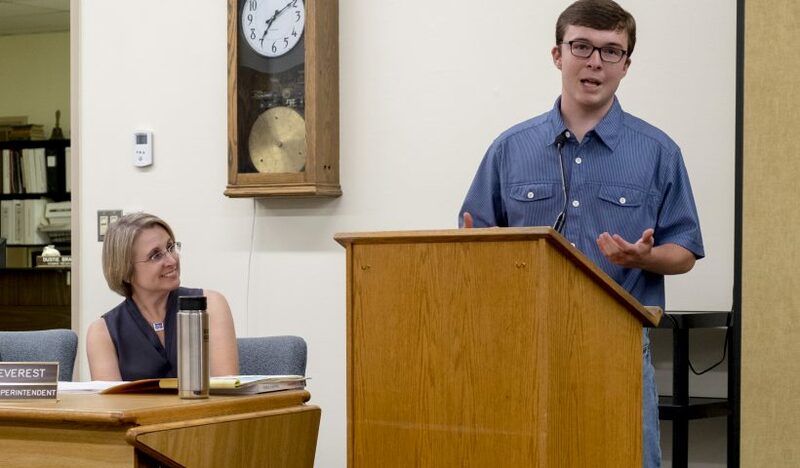 The SAHS College and Career Readiness Center shared the following story about one of their students, who had the opportunity to participate in a science internship at OSU. 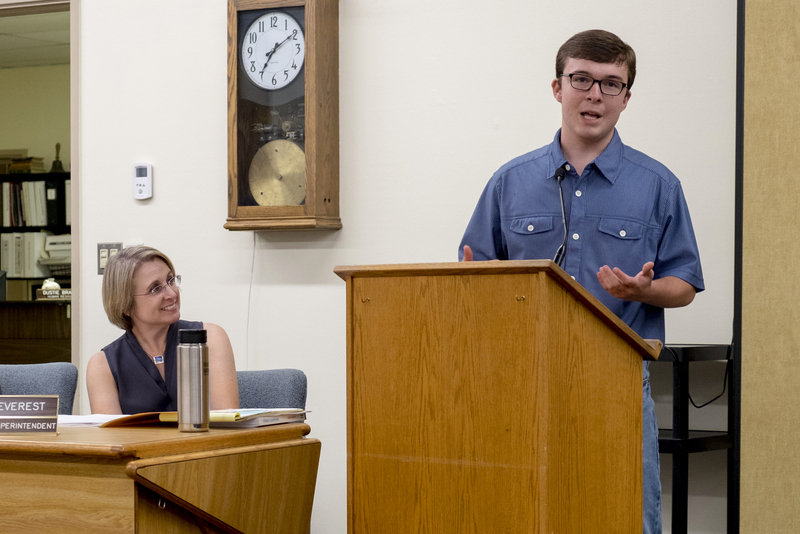 Riley Duncan and classmate Ryan Nafziger spoke to the board about the experience at a School Board meeting in late September. Riley Duncan was one of two students at South Albany High School to be accepted for the ASE (apprenticeship in science and engineering) program at OSU through the Saturday Academy. Riley was able to work with OSU’s botanical research and ecology department alongside professors and college students to conduct research. There were a total of 155 students that interned in different areas of science and engineering and at the end of their experiences the students presented at a symposium. Ryan Nafziger was also accepted into the program and we hope to feature his experience soon! When discussing this program, Riley found impossible to find the right words to express his gratitude for the experience. 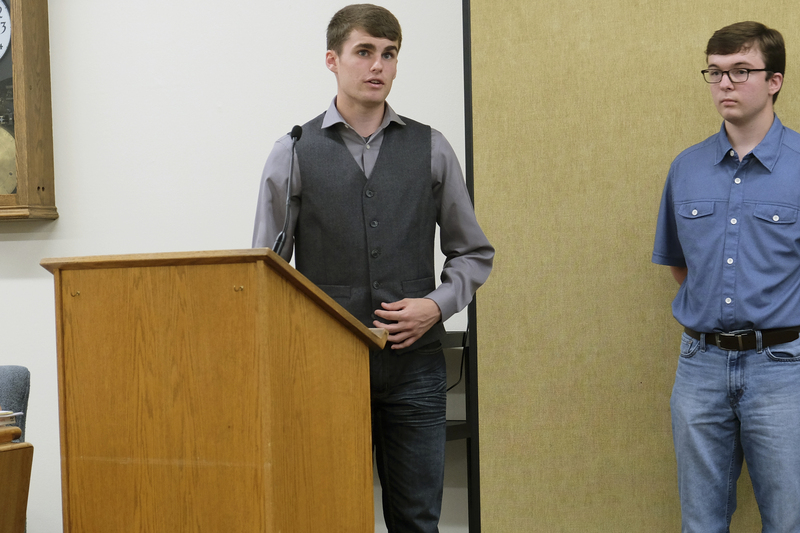 Riley was able to make this possible by focusing on something he was truly passionate about in his application and being able to demonstrate his proven interest in this area of science. Riley also participates in SAHS’s horticulture club and had encouragement from his club leader and SAHS teacher Hans Schneiter to apply. Riley has also been able to develop important interpersonal skills through SAHS’s transition program through his involvement in working in the Red and Gray store and engaging in the T3 internship program at the Boys and Girls. After Riley graduates he plans to attend to LBCC at first, but then he plans to enroll at OSU. SAHS staff is thrilled that Riley had this opportunity. We hope to continue seeing our students enroll into theses hands-on experiences that help them better prepare for their future and create paths for new opportunities. Riley is our featured SAHS Paths to Success Student for the career center for October, but stay tuned to see some of the other amazing activities our students are involved in and what they aspire to be! 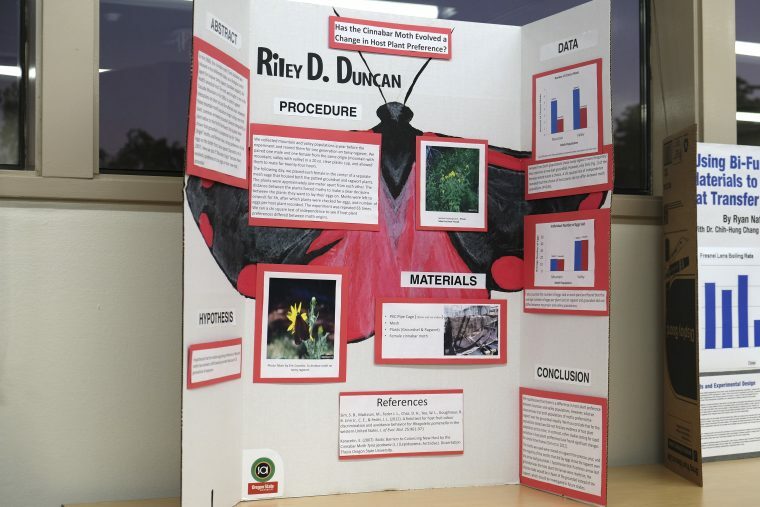 Riley Duncan’s final project on moth plant preferences. 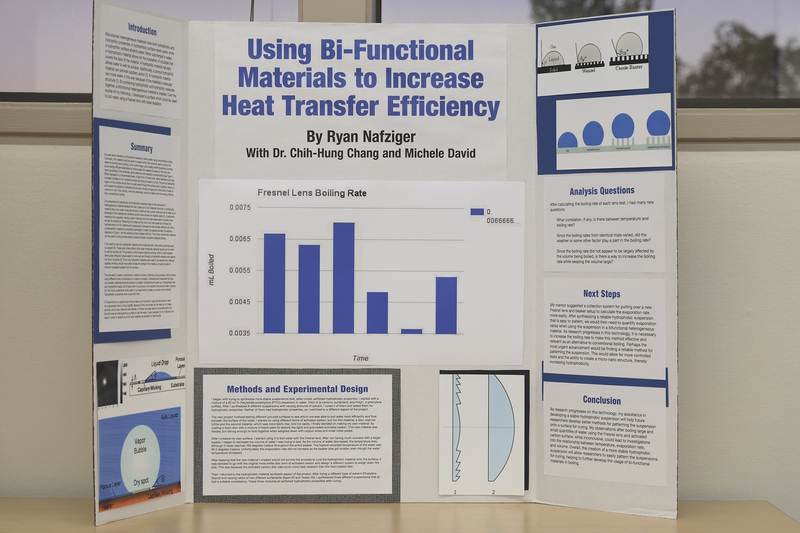 Ryan Nafziger studied heat transfer efficiency at during his internship at thge Apprenticeships in Science and Engineering (ASE) program.